Home » Programs » Are You Stumped? This is an advanced genealogy workshop that is limited to ten people or less depending on the number of laptops available. 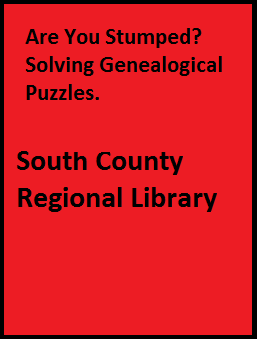 It is designed to assist genealogists who cannot find a certain relative or have specific troubles with their issues. This is an opportunity to have a one-on-one session with an NCR staff person. Each participant is allowed one question.